Lorraine Mariner has long been one of the less well-guarded secrets in UK poetry, and her many admirers will be delighted by the appearance of her first full-length collection. Sometimes reading like an unholy alliance of Dorothy Parker, Stevie Smith and Frank O'Hara - but more often like nothing the reader will have encountered before - Mariner's poetry is sharp, quirky, disarming, disorientating, deceptively skilful and frequently hilarious. Her gift is to reveal how much of the everyday is purely surreal, and to articulate the strange and fleeting thoughts we often have, but rarely have the nerve or quick-wittedness to voice. 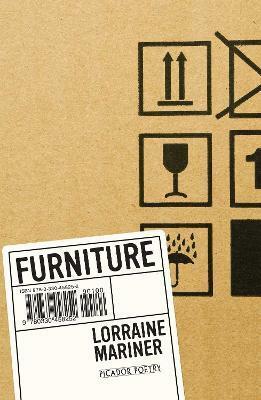 Furniture is the work of an exciting and fresh new imagination in contemporary poetry. Lorraine Mariner was born in 1974, grew up in Upminster and attended Huddersfield University where she read English, and University College London where she read Library and Information Studies. She works at the Poetry Library, Southbank Centre. Her pamphlet 'Bye For Now' was published by The Rialto in 2005. In 2005 she also received an Arts Council Writer's Award and in 2007 her poem 'Thursday' was shortlisted for the Forward Prize for best individual poem.